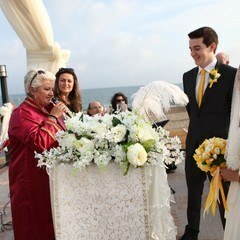 An unforgettable day for Tatiana & Paul, Tatiana & Paul Wedding in Turkey Antalya Tatiana the bride born in Russia living in England and Paul the Groom born in England is ice skating artist, theater lighting technician. Tatiana &Paul travel the World together for the theatrical performances. First anniversary. 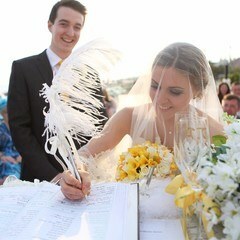 They chose the Antalya Turkey for their wedding. We have prepared an unforgettable day for Tatiana & Paul at the Limak Lara Hotel located in Kundu region in Antalya with dynamic and devoted employee of Limak Lara Hotel. 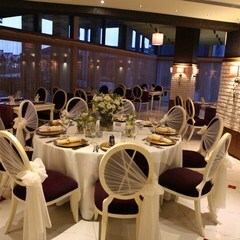 We have organized (Official Marriage) Formal Wedding In Turkey at the platform on the beach and wedding dinner reception at the Italian A la Cart Restaurant of Limak Lara Hotel. 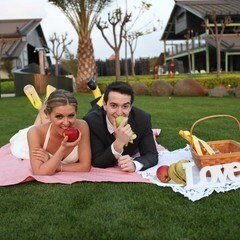 Tatiana & Paul’s positive energy made the wedding photographs unforgettable !!! Most of our dealers still use their full of vim picnic photographs on their social media and website with great pleasure. 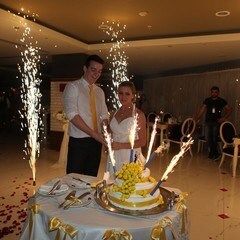 The wedding night was the unforgettable for our Company Wedding City Antalya. Caucasian dance of Tatiana & Paul was spectacular but more spectacular thing was their belly dance with Turkish Belly Dancer :)) We remember Tatiana & Paul fondly. 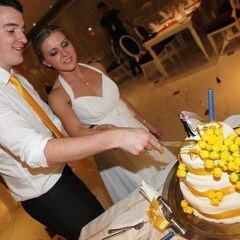 Dear Tatian and Paul, we were very happy to see that you chose your dress as ivory and yellow color to celebrate your first anniversary on the beach just like at your wedding day. 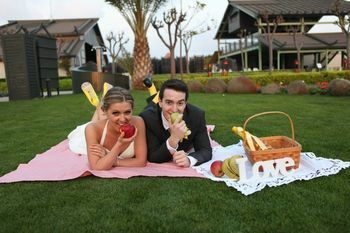 Tatiana & Paul’s wedding photographs at the picnic on the green area of Hotel and Belly Dance photographs marked the Wedding in Turkey Antalya on 2014 season on social media.